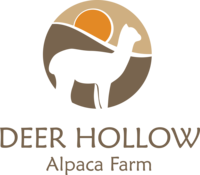 After about five years of alpaca ownership we began to shift our breeding focus on our farm in an effort to maximize our production. This decision was based primarily on the smaller size of our herd and our desire to breed the best alpacas that we could. In an effort to produce what we believe to be the best genetic lines in the world we have become an Accoyo breeder. Our fundamental goal has been to bring nationally recognized championship genetics to the foundation of our herd. Accoyo genetics are terrific building blocks for the foundation and long term strength of a herd. The Accoyo genetics are known for very distinguishable prepotent characteristics that we believe are at the top of the alpaca industry. Accoyo genetics can be counted on to place an unmistakable mark of quality on a breeding program. 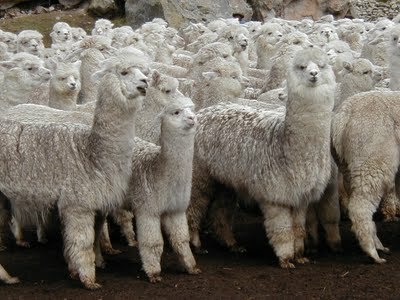 Accoyo alpacas originate from Estancia Accoyo, an alpaca ranch in Macusani, Peru. During the 1990's Select Accoyo males and females were imported from Estancia Accoyo into the United States. The Accoyo lines represent alpacas that were either directly imported or that are now direct descendants from the original imported alpacas. Estancia Accoyo was the vision of Don Julio Barreda, who for six decades directed a breeding program surpassing any others of its time and arguably even the best out there today. The Accoyo breeding program systematically became the leader in conformational traits, fiber fineness, and fiber density. Genetic selection was a developing process during the time that the Estancia Accoyo Ranch was getting started. 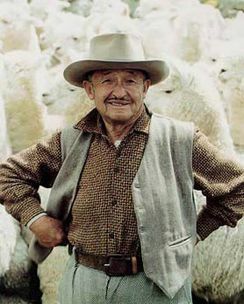 Don Julio was the first alpaca rancher to separate an alpaca herd based on specific genetic qualities and selectively breed them to improve on these traits. The results of the long standing effort and meticulous breeding strategy are well documented today. Accoyo genetics typically result in larger boned alpacas with supreme fineness and maximized density resulting in heavier average shearing weights and lower average micron numbers. It is because of this advanced and storied breeding process that significant prepotent genetics are found within the Accoyo lines and can be very important to the advancement of an alpaca breeding program. The Accoyo genetics have consistently proven themselves in the show ring and in the traits of the average progeny. We are firmly invested in the pursuit of a continued Accoyo breeding program in North America and have focused our attention on the same process that made Don Julio's breeding program world renowned. Our goals for the future of our program focus directly on phenotype correctness, fiber improvement, industry advancement, and the health and wellness of our herd.